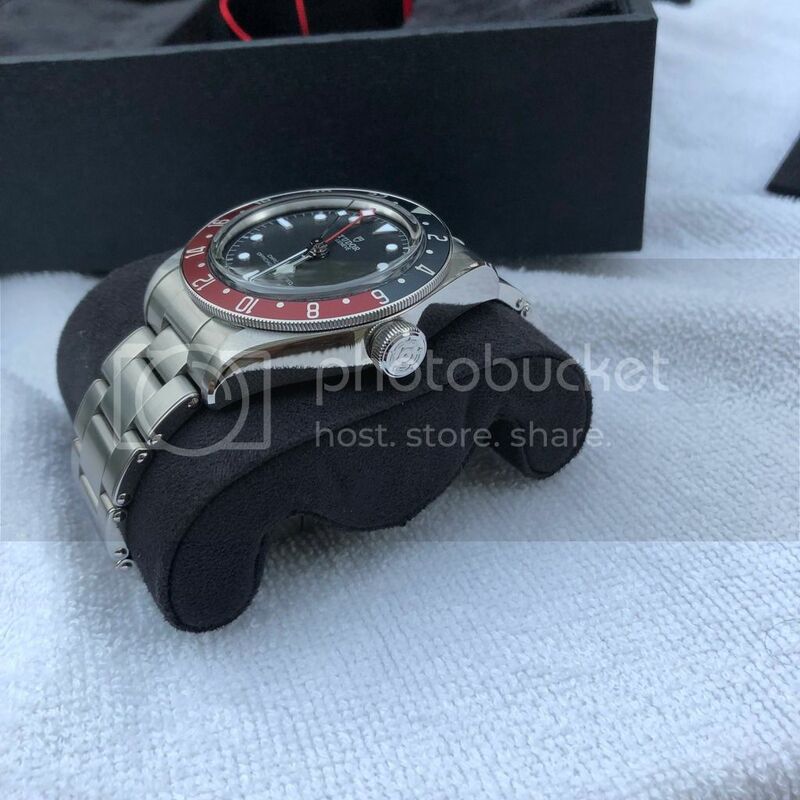 Up for sale/trade is my super mint beautiful Tudor GMT with the complete package from my AD, triple boxed, hang tag, warranty card, extra links, etc. This is the running incredibly accurate, by far the most accurate watch I've ever owned. The date changes over perfectly and is extremely smooth to wind and a pleasure to wear. I can't see any scratches on the case, bezel or bracelet, there may be a hairline on the clasp at a certain angle but that's about it. I purchased the watch around August and it has the remainder of the warranty. I'm interested in a trade plus cash on my side for a Rolex16710 GMTor maybe a 16570 Explorer with the polar dial and possibly even a white dial 114300 Oyster Perpetual. I'm super particular with my watches and would only be interested in excellent-mint examples. I have plenty of solid references from selling on TZ/WUS and expect the same please. No shipping OCONUS to make it easier. Please let me know if you have any questions and I'll send any picture requests that you'd like!